Godrej Nurture: Child Centric homes in sync with nature! 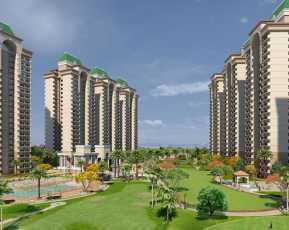 Noida is one of the hottest real estate destinations in India. The city enjoys close proximity to the capital Delhi and has excellent infrastructure. Sector -150 in Noida, is one of the upcoming locations in Noida which has a number of commercial and residential developments. 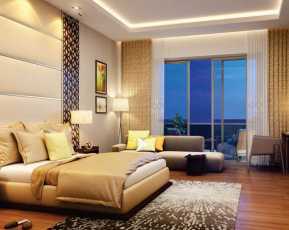 Godrej Properties has launched an exciting new project in the area called Godrej Nurture, which is located next to Noida-Greater Noida Expressway. Fully child centric homes for your beloved child by keeping the theme "Play and Grow". The project offers state-of-the-art infrastructure as well as amenities to residents at an affordable price. 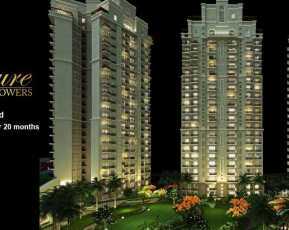 The project has 2BHK, 3BHK and 4BHK apartments ranging from 69 sq. mt. to 169 sq. mt. which boast of world-class architecture and meticulous planning. Godrej Nurture apartments are well-equipped with air conditioners, Italian marble flooring, modern equipment is used in the modular kitchen and extended balconies which provide ample sunlight and cross ventilation for home buyers. The external amenities of the project are amazing and including a gymnasium, covered parking, swimming pool, sports arena, e-library, concierge services, clubhouse, and a health and wellness centre. There are table tennis and badminton courts, and much more for buyers. The complex has a dance academy, sports academy, live floor games, kids pool, themed garden, and a miniplex where residents can relax and enjoy with their families and friends. There is also a creche’ which is a blessing for working couples. Considered one of the poshest property in Sector 150, the complex is near renowned education institutions, healthcare centres, business hubs, and commercial centres. The area has easy access to surrounding sectors, with the Pari Chowk located just 7 km away. The upcoming metro station is just 10 minutes away from the project while the IT Tech zone is easy to reach within the time span of 15 minutes. the Mahamaya Flyover is just 20 minutes away from the complex. The area offers a haven for home buyers who wish to live a comfortable and congestion free life in Delhi-NCR, in the lap of natures. The project has a signal free connectivity to Delhi via Noida - Gr. Noida E-Way. The project enjoys direct metro connectivity to Connaught Place, IGI Airport, and Gurgaon. 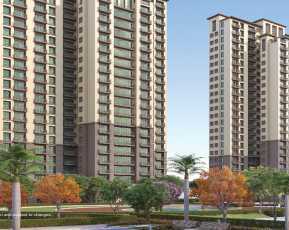 With its excellent amenities and connectivity to Delhi, Godrej Nurture is one of the most desired property in Noida. 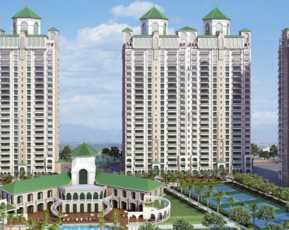 The project is near the Yamuna Expressway & Noida-Greater Noida Expressway. It is close to Buddha International Circuit & International cricket stadium. A number of leading colleges in the area are GALGOTIA’S University, AMITY University, GAUTAM BUDDHA University, and DPS. Renowned hospitals likeKailash Hospital, Sharda Hospital & JAYPEE Hospital are also in the close vicinity of the project. Developed by Godrej Properties, which believes in the philosophy of innovation and excellence, the project offers all modern amenities designed to live a comfortable and luxurious life. Godrej Properties development has a 119-year legacy of excellence and trust. The group is currently developing residential, commercial and township projects, across India, which are spread over 11.98 million square meters. Godrej Nurture offers an excellent opportunity to own your dream home in Noida.